European and Israeli plans to do defense commerce with China could be a major headache for the United States. If Edward Snowden’s revelations about the United States’ global surveillance activities taught U.S. allies anything, it’s that on the world stage, even your closest friends can’t be trusted. The United States has recently been feeling the sting in a similar way – not because of espionage, but because its allies are hemorrhaging valuable defense technology to China. Recent reports suggest that the United States’ European allies and Israel have exported or had made plans to export sensitive defense technology to China. As China grows economically and militarily, it has a tendency to go everywhere and do business with everyone – including important U.S. allies. Ultimately, the trend of U.S. allies exporting sensitive military and dual-use technology to China will remain a major threat to U.S. national security in the long-term and has no immediate and easy solution. The United States won’t be able to exert the source of leverage it does with Israel should other partners export sensitive technology to China. As for China, currently the country with the second largest defense budget after the United States (although still quite far behind in absolute terms), European technology in particular is appealing – with strategic importance for the PLA. For example, according to data from the Stockholm International Peace Research Institute (SIPRI), China’s purchases of submarine engine technology from the German firm MTU Friedrichschafen are strategically vital to the PLA’s submarine modernization effort (the Reuters report explores the European contribution to China’s submarine program in some detail). China’s relationship with European suppliers shouldn’t be overstated; while the relationship is certainly beneficial China, Russia is still by and far China’s top source of weapons technology. 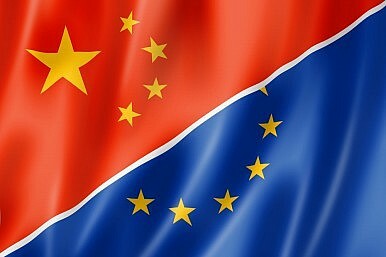 Times have certainly changed for Europe, which still maintains an official arms embargo against China following the 1989 Tiananmen Square incident. While the United States continues to regulate the exposure of its indigenously developed defense technology to Chinese eyes, it doesn’t have the luxury of counting on its allies to do the same – particularly with regards to dual-use technology. However much the United States might dislike the current state of affairs, there is little that can be done about China’s procurement of technology from key U.S. allies. Europe and Israel aren’t the only sources of concern for Washington; an investigation by Gordon Lubold of Foreign Policy earlier this year suggests a more insidious problem for the United States and its allies, exemplified by the case of South Korea, which could be lifting U.S. technology wholesale for its own defense industry. We know that the issue of defense commerce is a hot topic between Israel and the United States, given the very public attempts by the United States to intervene in Israeli dealmaking. The issue is burgeoning in the U.S.-E.U. agenda as well, with no real solution favorable to U.S. interests in sight. The upcoming fight for Winterfell in the HBO series Game of Thrones speaks to the mother of all mythologies in Western imperialist military history.